Renold’s unique control over pin / bush contact makes sure that wear life exceeds other brands. Little initial chain adjustment is therefore required. Renold roller chain is highly fatigue resistant, giving up to four times the life of other leading competitor chains. Breaking loads exceed the minimum requirements of international standards. Fatigue life is substantially improved by optimising fits between pin, bush and plates and controlling plate hole quality. Sprocket life is enhanced by matching the chain gearing exactly to the tooth form. 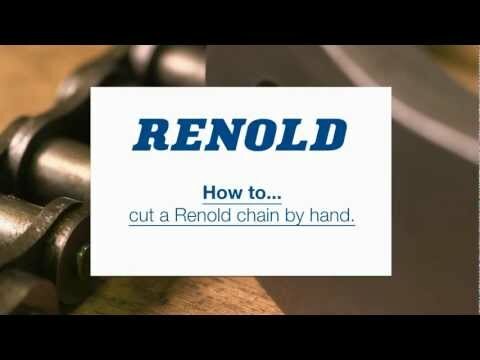 Renold pioneered ball drifting to create precisely controlled holes, which combined with other Renold process technology reinforces fatigue resistance and improves the wear performance of the chain. Fatigue life is further enhanced by shot peening and other pre-stressing processes. Specially formulated lubricants reduce initial wear, give corrosion protection and ensure long storage life. Renold pins are case-hardened and centreless ground producing perfectly cylindrical diameters with extremely high surface hardness. Component life is maximised by the expert use and control of heat treatment during the manufacturing process.